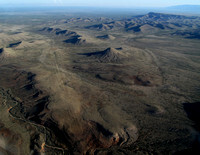 Otero Mesa, located in rural southern New Mexico, lies south of the Sacramento Mountains and west of the Guadalupe Mountains. 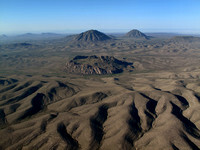 This 1.6 million acre basin is the largest and wildest Chihuahan Desert grassland left on public lands in the U.S. This stunning area is widely considered to be among the most biologically rich and diverse desert eco-regions in the world. 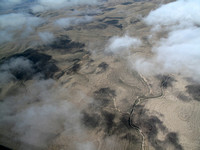 It contains one of New Mexico's largest untapped fresh water aquifers, important in an area already adversely affected by years of drought, as this is the future fresh water source for New Mexico and El Paso. In addition to breathtaking landscapes, Otero Mesa features New Mexico's only remaining genetically pure pronghorn antelope herds, a healthy mule deer population, more than 1,000 other species of wildlife and a complex ecosystem full of native plants. 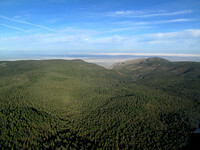 This region is an outstanding and beautiful area to hunt and recreate. Proposed conservation areas in Otero Mesa would ban oil and gas drilling and other activities that may disturb the fragile landscape or contaminate the fresh water aquifer, but will still allow sportsmen the ability to enjoy their historical pastimes here. Learn more about the value of protecting these wild-lands. Bruce Gordon interviews Oscar Simpson, the President of the New Mexico Wildlife Federation.